Located towards the far Southern constellation of Pavo (the Peacock), this cosmic tango is happening 190 million lightyears away. While NGC 6769 seems pretty intact, its neighbor (NGC 6970) shows heavily disturbed spiral arms. All three galaxies display a similarly bright central bulge. The squarish shape of NGC 6971 is a rare occurrence among galaxies. As a result of the interactions many new stars have been born (blue regions) and a lot of star forming regions (pink) are readily apparent. 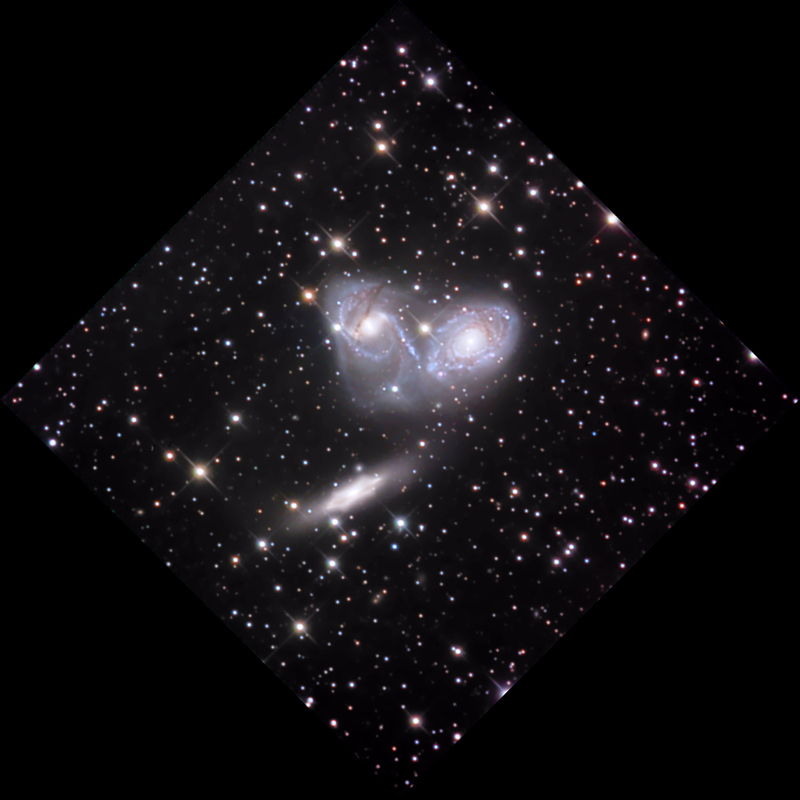 These galaxies are magnitude 12.4, 12.4, and 13.4 respectively. The field of view is 10 x 10 arcminutes and North is towards the top of the field. Used with permission, No reproduction of these images are permitted without written approval from D. Verschatse.